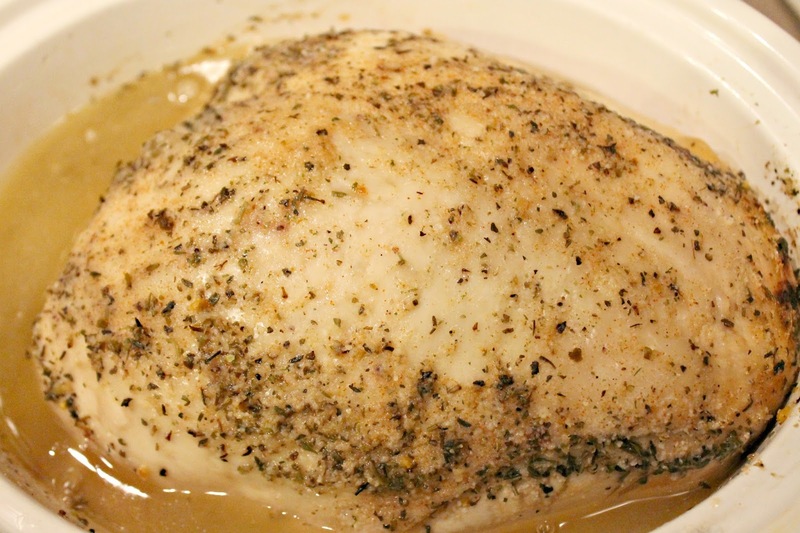 Easiest Bone In Crockpot Turkey Breast Recipe! | Ate It. Made It. Loved It. Healthy eating starts with prep and planning. It is having the right stuff readily available. Here is a easy crockpot turkey recipe that will help you make sure you have your meat ready for your meals. 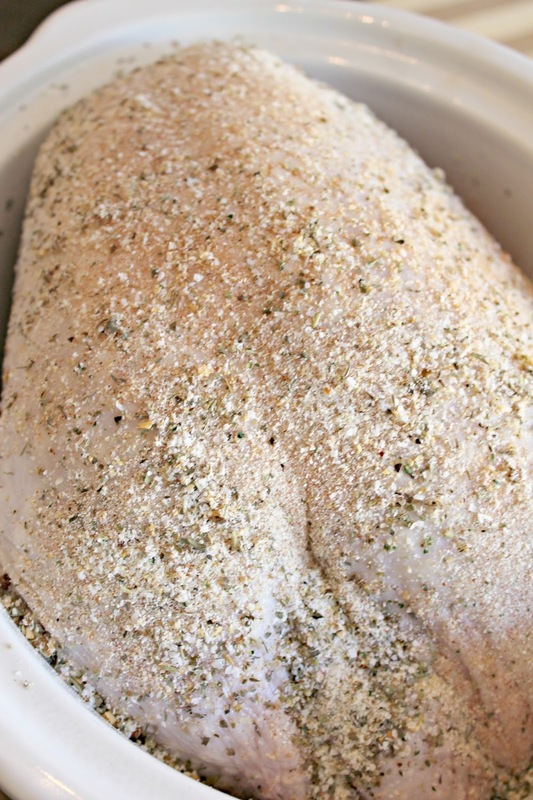 I sliced half of the turkey breast for certain recipes and then shredded the other half for other recipes. That way you can cook your source of protein one way but serve it 2 ways so you don’t feel like you are eating the same thing every single day of the week. 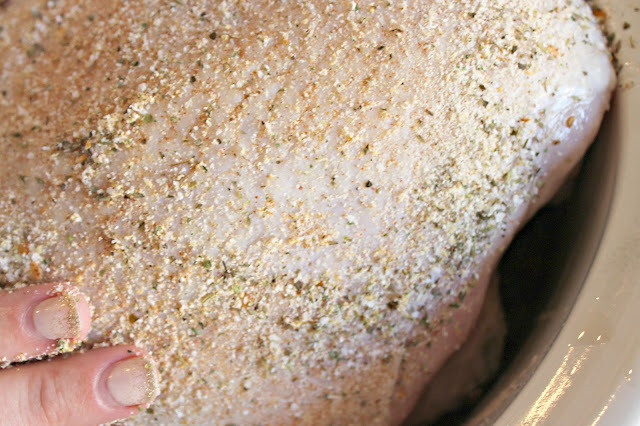 place turkey in a crockpot and then rub all over the turkey breast. Combined all spices and place turkey in a crockpot and then rub all over the turkey breast. Cook on low for 8 hours. 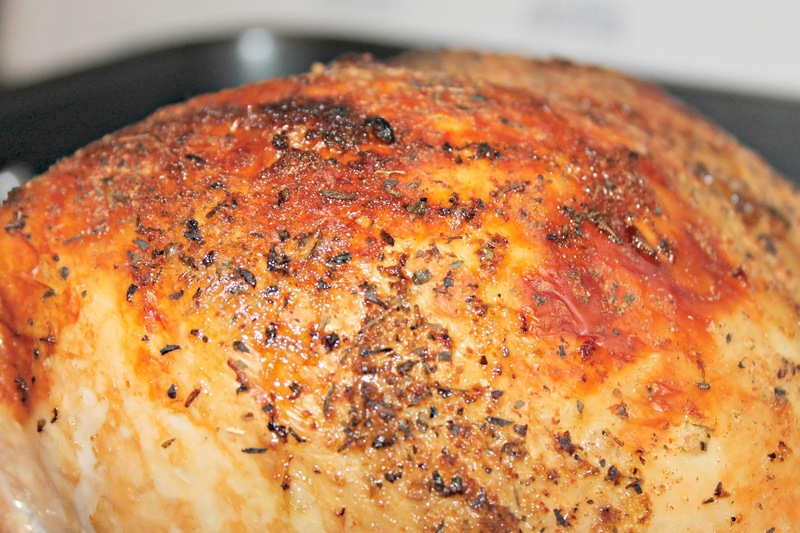 Preheat oven to broil at 500 degrees F. Remove turkey and place in a roasting pan or in a oven safe baking dish. 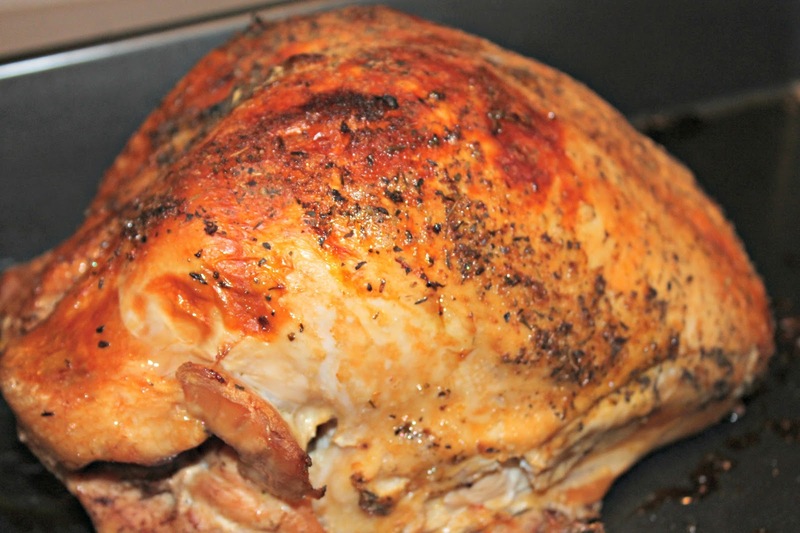 Place under the broiler for 10 minutes or until the skin of the turkey turns golden brown. Let meat rest for atleast 10 minutes and then slice or shred! 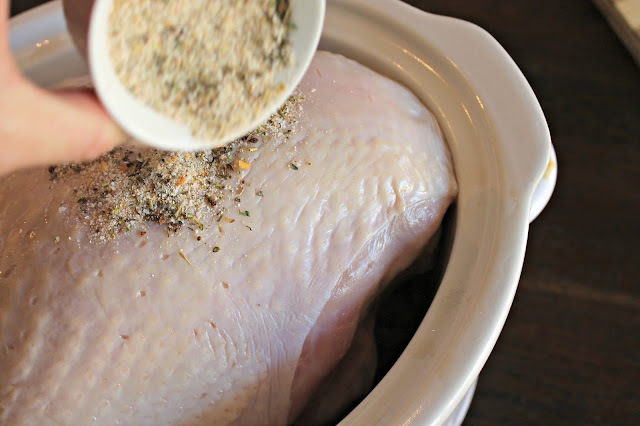 Combined all spices and place turkey in a crockpot and then rub all over the turkey breast. Cook on low for 8 hours. 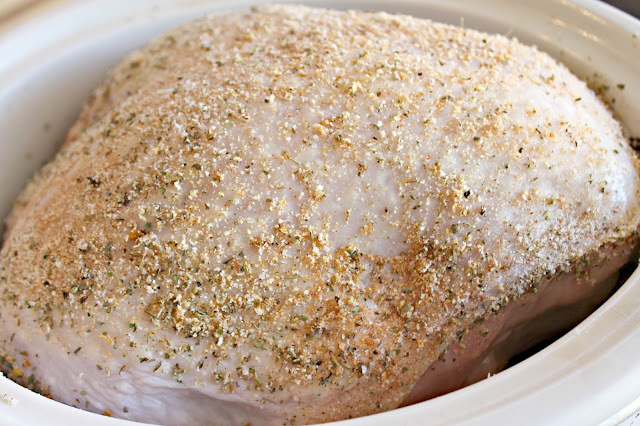 Preheat oven to broil at 500 degrees F. Remove turkey and place in a roasting pan or in a oven safe baking dish. Place under the broiler for 10 minutes or until the skin of the turkey turns golden brown. 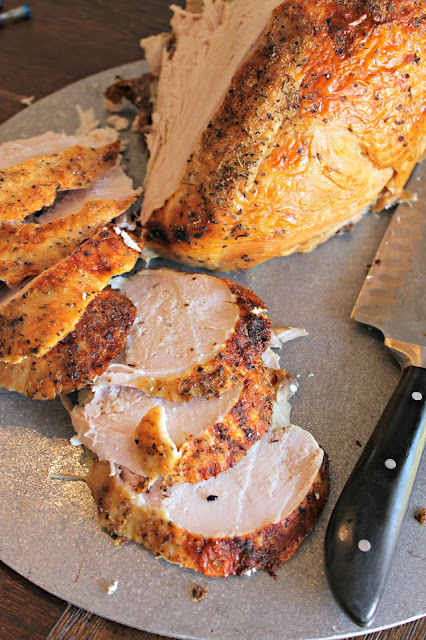 Let meat rest for at least 10 minutes and then slice or shred! How big was your turkey? 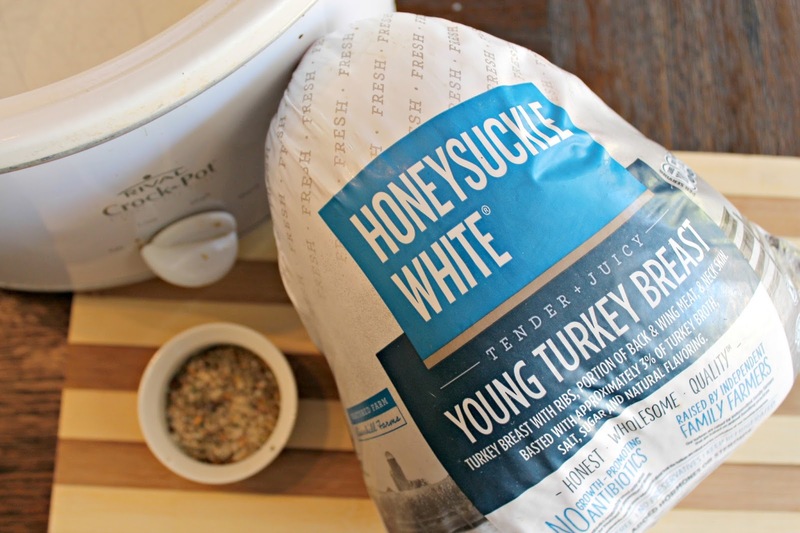 Do you put any liquid in the crockpot with the turkey? Or just the turkey goes in and that’s it?